California is the "Golden State", and Mt. Whitney delivers on that! 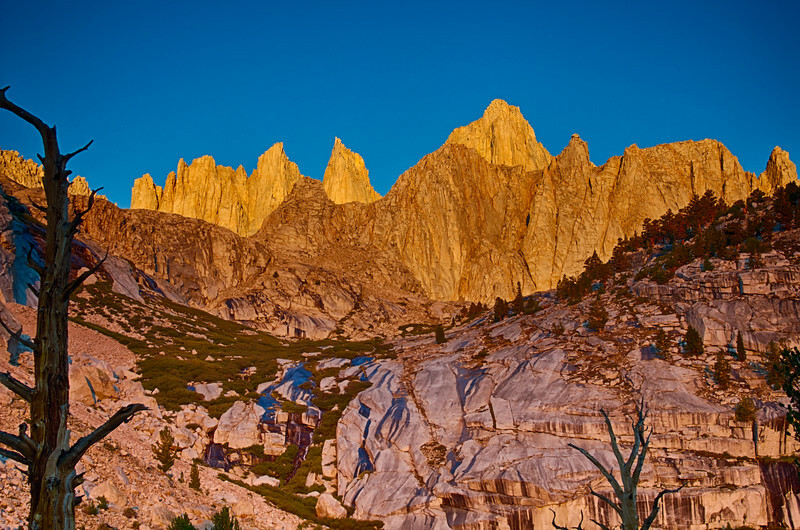 Gorgeous golden lights up great granite walls (14,505 ft / 4421 m), on a beautiful morning in September. This amazing light show only lasted for a couple of minutes...as the sun rose, these vivid colors quickly faded to white.